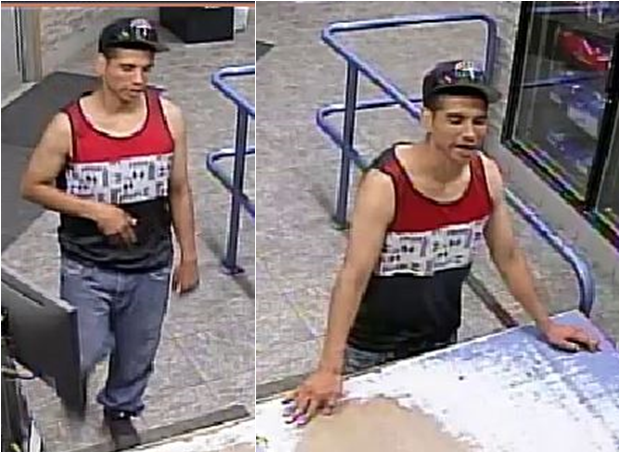 Around 10:00 p.m. on Saturday, June 17, 2017, a young male approached a worker at the beer vendor area at the Boulevard Hotel in Dauphin, Manitoba. He began to argue with the worker, then jumped over the counter, grabbed a case of beer and left. Anyone with information about this incident or who can identify the subject pictured is asked to call the Dauphin RCMP Detachment at (204) 622-5020 or submit a tip.